I will honour my teachers and all who have preserved and developed this knowledge and dedicate myself to supporting the growth and evolution of naturopathic medicine. I will endeavour to continually improve my abilities as a healer through study, reflection and genuine concern for humanity. I will impart knowledge of the advanced healing arts to dedicated colleagues and students. First of all, do no harm. 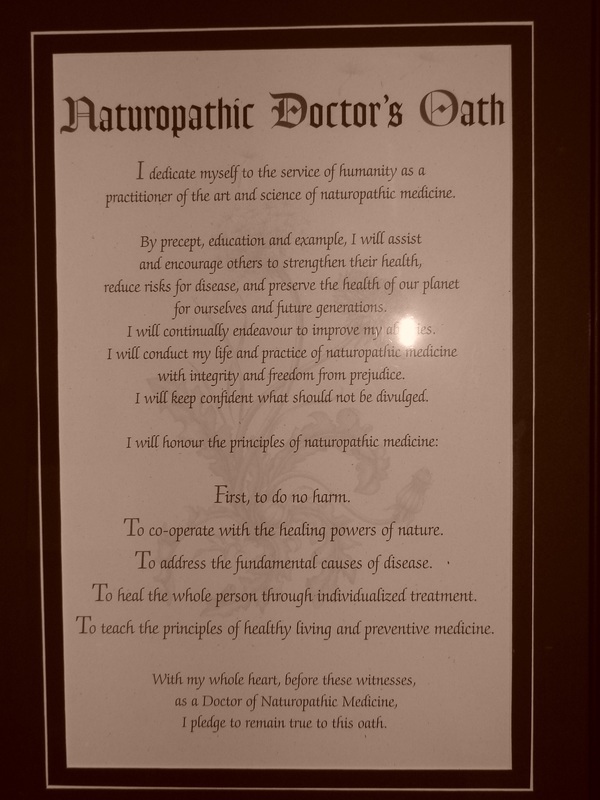 I will conduct my life and the practice of naturopathic health care with vigilance, integrity and freedom from prejudice. I will abstain from voluntary acts of injustice and corruption. I will keep confidential whatever I am privileged to witness, whether professionally or privately that should not be divulged.